Joyetech eVic-VT VW Express Kit - 5000mAh, is an innovative temperature control MOD.VT-Ti (titanium), VT-Ni (Nickel 200) and VW three modes available. 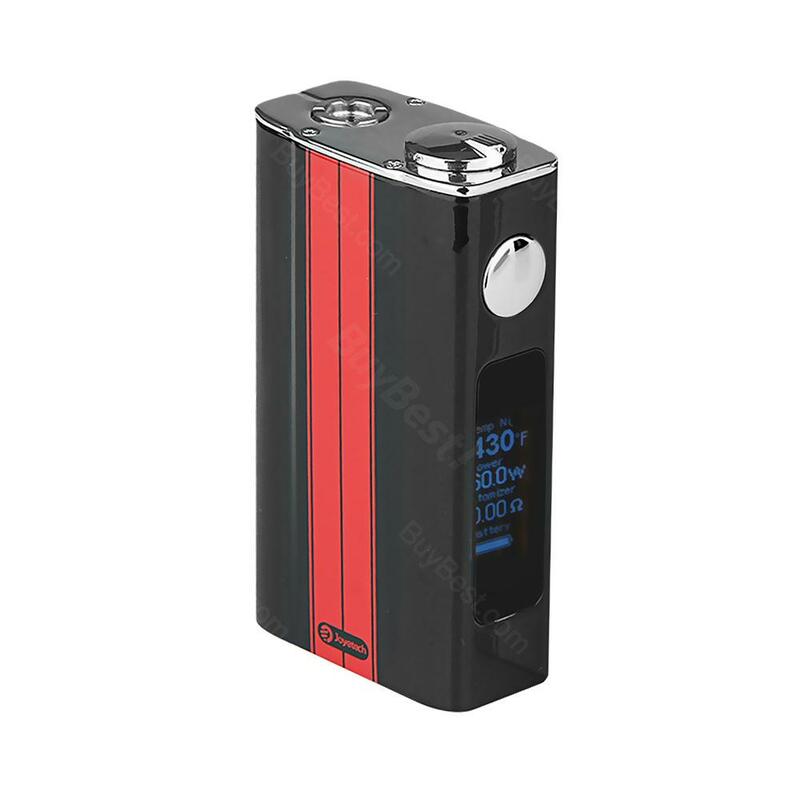 Joyetech eVic-VT VW Battery MOD - 5000mAh, is an innovative temperature control MOD. VT-Ti (titanium), VT-Ni (Nickel 200) and VW three modes available. It brings new flavor with every change of temperature setting, also battery performance being prolonged at the same time. • This VT battery not only supports our suggested VT heads, but also supports all other VT atomizers and heads. • This VT atomizer not only matches with our VT battery, but also matches with all other VT batteries. Press the fire button 5 times in quick succession to turn the device on/off. Vaping: Hold the fire button and inhale through the mouthpiece. Release the Fire button and exhale. While the device is on, simultaneously hold the fire button and turn the control knob to the left. This will switch between Stealth on and Stealth off function.In Stealth on Mode, you can vape with the OLED screen off. Adjustment Lock function: While the device is on, simultaneously press the fire button and turn the control knob to the right. This will switch between Adjustment Lock and Adjustment Unlock function. Shift Between VT-Ni/VT-Ti/VW Mode: Press the fire button 3 times to enter the menu. You can select mode and adjust settings by turning control knob to left or right. wattage can be adjusted in VT mode. Press the fire button 3 times to enter the menu. Turn the control knob to the left, and the second row will blink. Then turn the control knob to the right to adjust the wattage, and press fire button to confirm. in VW mode, you can adjust output wattage between 1W-60W by turning the control knob, right to increase, and left to decrease. Shift Among Battery, Time and Puff: Press the fire button three times to enter the menu. Turn the control knob to the left side 3 times, and the fourth row will blink. Now turn the control knob to the right side to shift between Battery charge remaining(%), Time(seconds) and Puff Records Modes. To reset the Time and Puff records, please hold down the fire button, while the Time or Puff mode is still flashing. When using a new VT atomizer head, please drip a few drops of e-juice in the cotton of atomizer head and guarantee it is moist before the first use to reach the best performance. The 5000mAh is enough. Joyetech eVic-VT is the best box mod at this price. The flavour meet the need of mine. I really recommend it. LED Anzeige sehr hell und gut lesbar, würde Joyetech eVic-VT VW MOD weiter empfehlen!